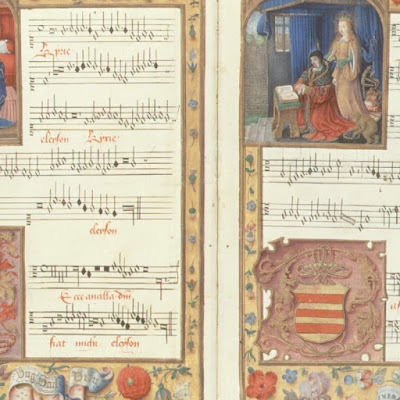 "The German abbess, visionary, mystic poet, composer, and healer Hildegard von Bingen 'has become a symbol to disparate groups,' writes Brian Wise at WQXR, including 'feminists and theologians, musicologists and new-age medicine practitioners. Her chants have been set to techno rhythms; her writings on nutrition have yielded countless cookbooks (even though she never left behind a single recipe.)' She did leave behind an astounding body of work that has made her improbably popular for a 12th century nun, with a lively presence on Facebook and her own Twitter account, @MysticHildy ('very into technology, love to travel'). Her fame rests not only on the beauty of her work, but on her extraordinary life story and the fact that she is the first composer to whose work we can put a name. ..."